Bio: Grace Gelpi is a junior in the Michigan State University saxophone studio as a student of Professor Joseph Lulloff. She is pursuing degrees in Music Performance and Music Education. Her previous teachers include Taimur Sullivan, Jennifer Strickland, and Dave Finucane. Recently, Grace participated in the Universitée Européenne de Saxophone in Gap, France, attending lessons with Claude Delangle, Vincent David, Arno Bornkamp, and others. She has performed in masterclasses led by Nobuya Sugawa, Capitol Quartet, Zachary Shemon, Christopher Creviston, and others. Grace plays soprano saxophone as a member of Spectra Quartet. She is also a current member of the MSU Symphony Band and the MSU saxophone ensemble. 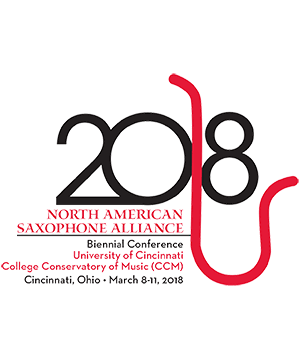 As a member of the MSU saxophone ensemble, she performed at the 2017 North American Saxophone Alliance (NASA) Region 5 conference and the 2016 NASA conference. As a previous member of the MSU Wind Symphony, she performed at the 2017 CBDNA national conference.